I've been meaning to add a binding tutorial to the website for a while now. So today's post is for single fold binding. I will be adding a post on double fold binding soon too! 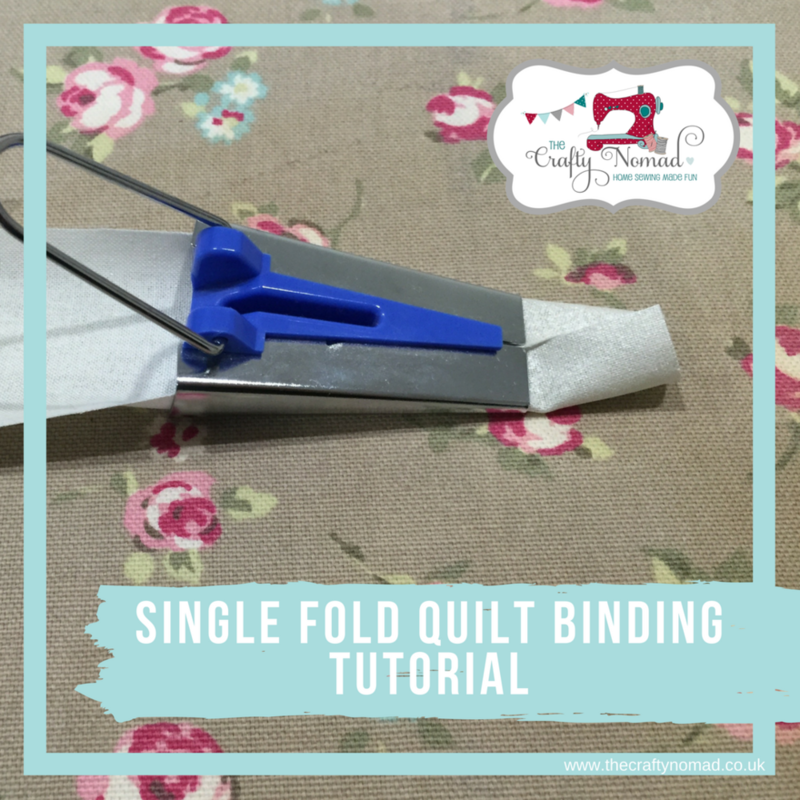 Single Fold binding is how I was first taught to bind a quilt by my friend Lorraine, on more recent quilts I have used double fold binding. But for all my classes on patchwork and quilting I taught single fold binding. First up measure all the edges of your project, add these numbers up and 10 inches. This is the length of binding you need to make. Cut strips that are 1 and 7/8 inches wide - I know it's a very specific figure! Piece these strips together. I like to do this on the bias to spread the bulk of the seam. Lay the strips crossed over right sides together as shown. So lay one strip right side up and lay the next one right side down crossways at the corner. Using an acrylic ruler with a 45º angle marked on it draw a line as shown. Stitch directly on the line. Trim to quarter inch seam allowance. Press seams open. Repeat until you have the necessary number of strips sewn together. Using a bias tape maker (these gadgets are fab for preventing burnt fingers!) feed the strip of fabric in wrong side facing up. Use a pin to help it through or if necessary cut the end into a point. Gently pull it through and iron the folds into place, the raw edges should meet in the middle. Now fold together so raw edges are inside and folded edges meet perfectly and iron in place. Wrap around a piece of cardboard to help keep the folds in place and keep it clean and off the floor. Open out all those folds. Starting in the middle of an edge away from a corner, leave about 6 inches free, pin the binding right sides against the right side of the front, as shown, all around the table runner. When you reach a corner, fold the binding as shown below and continue all the way around. When you reach the place you started lay the left hand tail on top of the right hand tail. 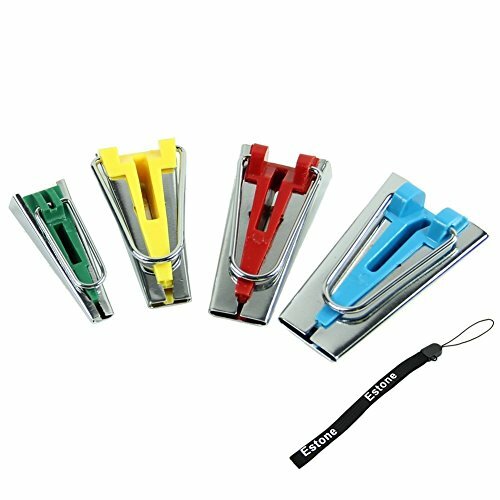 Using your acrylic ruler mark a 45 degree line. Fold back the top layer carefully and mark a corresponding line on the binding underneath. Trim to a quarter inch past this line on both ends. Pin together lay flat to check you've pinned it correctly. Sew on the line. Trim away the dog ears. Lay flat, finger press the seam open and pin in place. Using a walking foot stitch in place, along the first fold or just ever so slightly to the right of it. When you reach a corner, stop when you can feel the extra layers of fabric beneath, you don't want to sew over those. It should be about half an inch from the end. Secure your stitches. Fold the flap of fabric out of the way. Insert the needle a half inch from the edge and continue. Re-form the folds and flip the binding to the back. Mitre the corners neatly. Pin in place and hand stitch all the way around with an invisible ladder stitch. I'll post a tutorial soon for the double fold binding. The main benefit to single fold is that it uses less fabric. 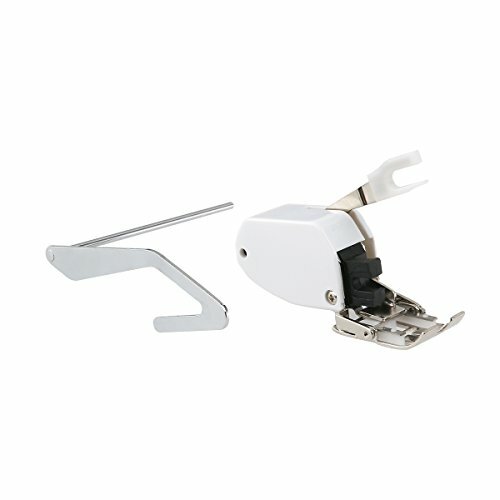 Interested in the tools I used? Here are some affiliate links.